Urban Decay delivers “beauty with an edge”. The beauty brand has a great smokey eye tutorial video featured in this post. Before you watch, check out the details about Urban Decay’s ‘Lounge’ eyeshadow. The palette is described as “a brick red with a green shift” with a shimmer finish. Originally released with seven other shadows as part of their Summer 2015 collection, the shadow is the perfect shade to switch up your traditional smokey eye. We tried out the shadow here at Snobby Diva and the duo-chrome shade is even more amazing on the lid than when in the pot! The glint of the green against the brick red really pops and with every head movement, the green gleam catches the light. It is also fairly pigmented and soft to the touch. Paired with their cult-classic Eyeshadow Primer Potion, you’ll be able to rock this unique smokey look all through those the warm, summer nights without creasing. It might be challenging for some to go out of their comfort zone with this shadow. For ideas on how to rock the shade, you can check out the Urban Decay tutorial here. 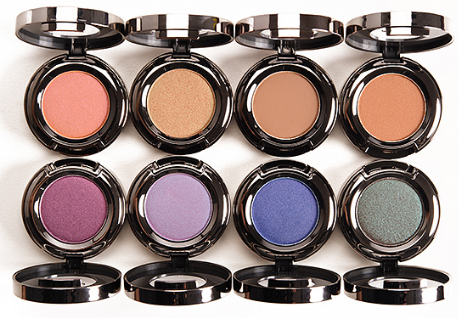 If Lounge is not for you, but you love the formulation and cruelty-free shadows Urban Decay offers, check out the 86 other eyeshadows they carry. The eyeshadow retails for $18.00 and is available on the Urban Decay website and other retailers. Have another shadow perfect for a summer night smokey eye? Tell us your favorites on our Instagram and Twitter. Michaela Felix is a fashion and technology writer. She is an editor at Rutgers University "Curly in College" publication.